I have tested this mod on version 1.22.2. J.D. 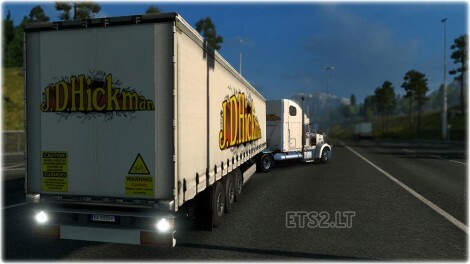 Hickman Freightliner Classic Skin Combo by L’dub. Truck Template by SCS Software, Oleg Conte, Sergej Baltazar, Kriechbaum, dmitry68 and odd_fellow.